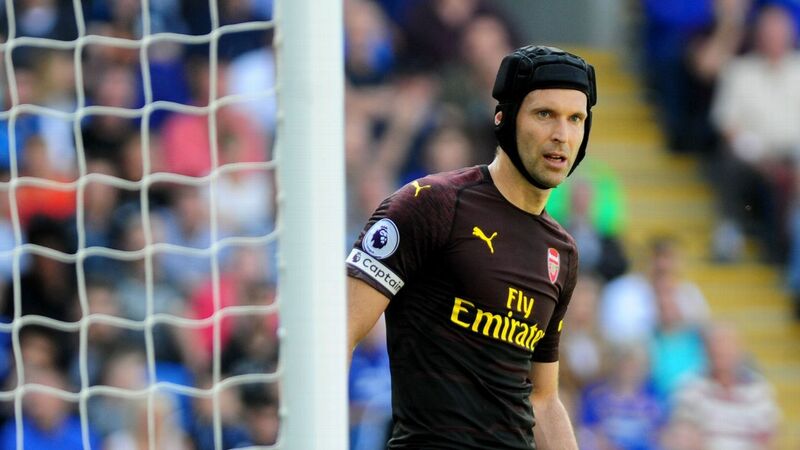 Petr Cech will be back in goal for Arsenal’s Carabao Cup game against Blackpool on Wednesday, Unai Emery has disclosed, a decision that indicates that Bernd Leno will keep his No. 1 spot in the Premier League. Cech has been sidelined for nearly a month with a hamstring injury, allowing Leno the chance to impress between the post in his absence after the Czech veteran had kept the German newcomer on the bench at the start of the season. Leno kept his starting spot at Crystal Palace on Sunday when Cech was back on the bench for the first time, but Emery said the 36-year-old is set to play against Blackpool. Before Cech’s injury, Emery had only used Leno in the cup competitions and the decision to play Cech against Blackpool indicates that the roles may have been reversed. Cech’s ability to play with his feet had been questioned during the first weeks of the season, with many viewing Leno as being better suited to Emery’s style of passing out from the back. Emery could also give youngsters like Emile Smith-Rowe another start, with several regulars expected to be rested ahead of Saturday’s crucial home game against Liverpool. Academy players Smith-Rowe, Eddie Nketiah, Joe Willock and Julio Pleguezuelo all took part in Tuesday’s first-team training session. “We will choose 18 players for the Blackpool match, the young players also. We are going to have a mix in order to get the best performance against Blackpool, to respect them,” Emery said. “The most important thing for the young players is to be alert every day in the training sessions. They need to use the experienced players’ example, how they progress, and learn from them.